Seven is such a fun age! Amara was here last weekend and the three of us watched the Little Princess together. It was another great movie night and another great movie. However, the real fun was Sunday morning. My cousin had sent me a recipe for Sweet Cinnamon Biscuits and she thought Amara and I would really have fun making them and we did. We did our little rituals of tying our hair back and scrubbing our hands and then “donning our aprons”! “Don’t tie it up Grandma, I want it long like a dress”. Grampy just sat in the office working and taking us all in. He loves to listen to us! She got her little stool and she read through the recipe like a checklist telling me what to get out — we always get all the ingredients out first! Then she somehow realized there was a pencil on the table so she had to go through the recipe a second time so that she could actually check everything off! Good thing she did as she forgot to tell me to get out the sugar! It was just so great — I let her do almost all the work. She measured most of the ingredients and had a blast using my sifter, which really is getting rusty and needs to just be replaced. We were having fun. 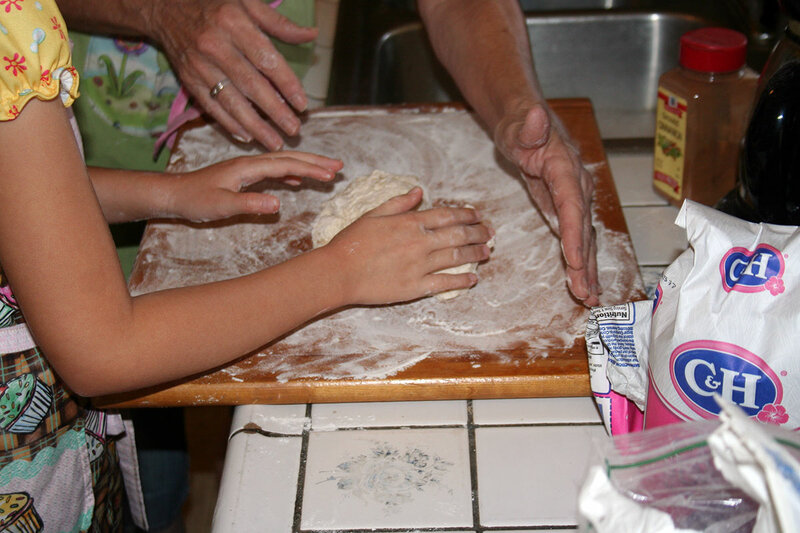 She stirred everything up, dusted the cutting board surface and her hands with flour and with a little help from Grammy got the dough out and started kneeding it — but of course using the rolling pin was the most fun. We did all this while we chatted away about school and stuff. I told her that the recipe we were doing came from my cousin. She’s never met this cousin but she knows all about her. This is the cousin who made Emily for her so Amara knew exactly who I was talking about when I told her that my cousin was becoming a Great Grandmother that weekend. I explained just what a great grandmother is and told her I hoped that I could be one someday when she grows up and has kids and she looks at me and says — “Grammy, you would make a really good one!” I just hugged her! Has any child ever said anything so sweet? The Sweet Cinnamon Biscuits were good but the experience was great! 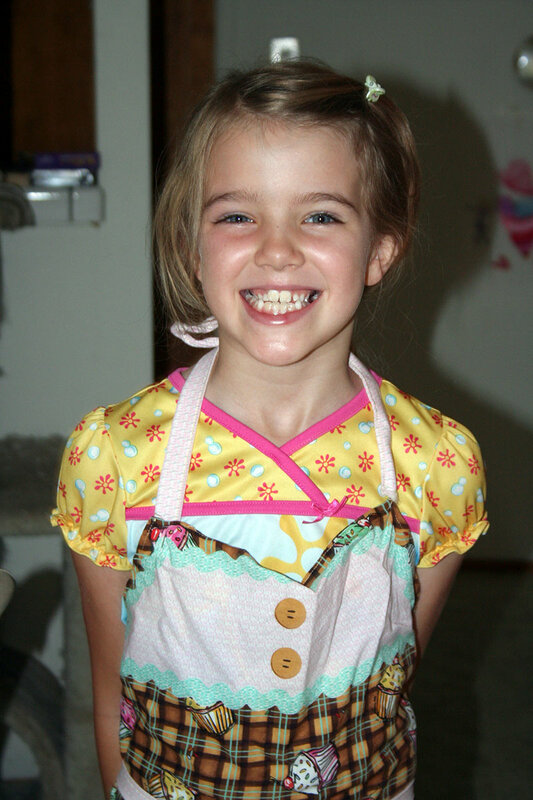 This memory was posted in Indoor Fun and tagged Amara, baking, Grandma, movies on October 7, 2011 by Grandma Kc. Awwww how sweet the thought! How fun the making and baking! You are a wonderful grandmother, already prepared for greatgrandmothering! Thanks for sharing! Our Little Princess already likes to cook with her mom. I’m making her an apron of her own for Christmas this year. I can’t wait bake with her myself. Those biscuits sound wonderful. I can’t wait to try them. 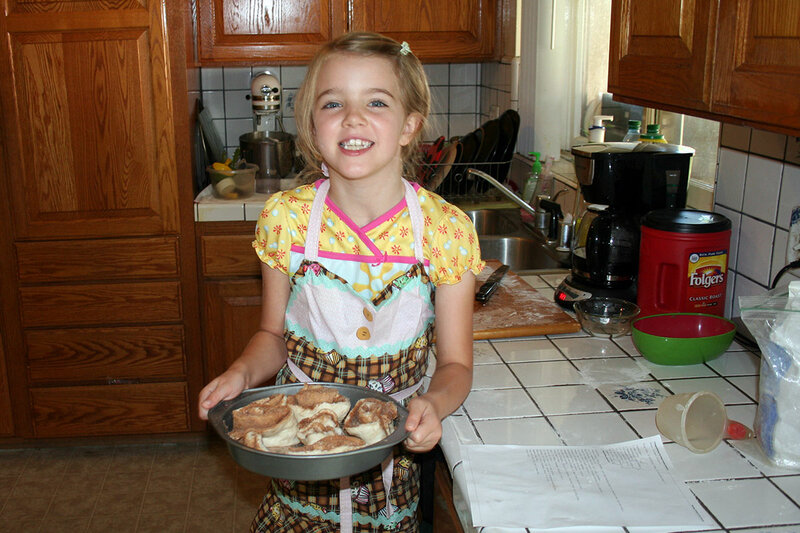 It looks like you and Amara had a great time baking together. I love the way you connected the recipe to another family member and made her a part of the experience too! Life is all about connecting with loved ones, especially the little ones, and about baking something with cinnamon in it. You and Amara are lucky to spend such sweet moments together and she has such a beautiful smile. Yea for grandmothers and great grandmothers…and cinnamon biscuits! Aw, that is indeed the sweetest thing to say. And some awesome-looking cinnamon biscuits! I don’t have a sifter…but am now on a quest to find one, if for no other reason than the fun Bubby will eventually have with it. Thanks for the idea…and the yummy biscuit recipe! What fun! 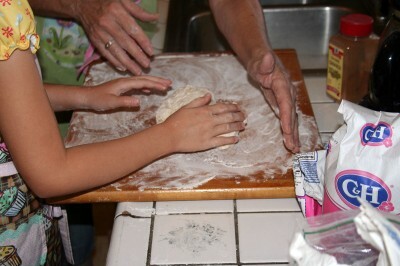 I hope my two grandsons will eventually join me in making some yummy treats! I was going to try to make chocolate chip cookies with Charlie, but at 21 months I think he’d only be interested in playing with the sifter. When I read of the way Amara approaches things with such creative thoughts and comments, and having read, above, what the teacher wrote about checking things off, I think “a joy to have in class” would describe your beautiful granddaughter perfectly! Ah she is such a little sweetie! She’s coming over today. She and grammy are making a pumpkin chariot and I get to help. That may be even better than listening to them chatter from the office.